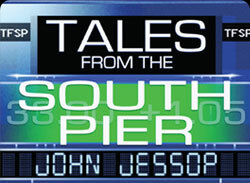 Author of Tales from the South Pier, a colourful, often scandalous, financial markets history! Ice Age or Old Age? Continue readingIce Age or Old Age? Continue readingEurope: In or Out? It is now possible to leave a comment on the author's rants. Visit Random Rants page now and post your comments!